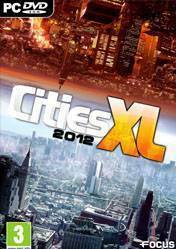 The Benchmark of City Builders Cities XL 2012 is a brand new version of the renowned city builder, which allows you to design, build and link up cities of all shapes and sizes around the Cities XL planet. To build your cities, the 2012 version now offers a huge variety of nearly 1,000 buildings as well as over 60 maps! Constructible maps are huge, and offer varied terrain and incredible level of details. With Cities XL 2012, players take on the role of virtual mayor. From the power grid to transportation concerns, you will answer the growing needs of the cities you have created. Find the perfect balance between the various services you provide to your citizens, including housing, recreation, and work. Finally, you must sustain the proper economic development by setting up trade between cities; you can specialize certain cities in specific areas to fill in the needs of the others. This will ensure large-scale financial success and allow you to develop an increasingly complex network of cities!